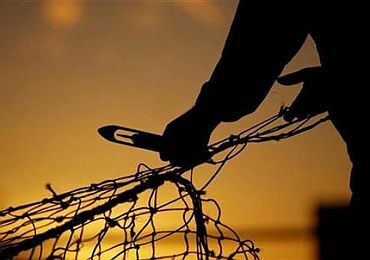 After three days of intense diplomatic tussle between India and Sri Lanka, 136 fishermen from Tamil Nadu, who were apprehended by their counterparts from across the waters and handed over to the local police, have finally returned home. Though many Indian fishermen have been apprehended in the past while fishing in foreign waters, what really took them by surprise this time was that it was not the Sri Lankan navy, but the neighbouring country's fishermen who had turned them in. 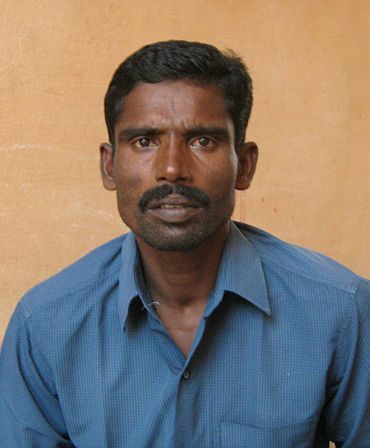 Rediff.com's A Ganesh Nadar spoke to some of the fishermen. "In the 15 years that I have been going to sea, I have never been apprehended. I have seen the Sri Lankan navy many times. Other fishermen have told me that sometimes they take your fish and let you go. On the morning of February 15 we went adrift with the current and crossed over unknowingly. Some 50, 60 small Lankan fishing boats surrounded us. They threw stones at us and then boarded our boats. They then took over the boats and took us ashore. Our boat was anchored there. Their fishermen's association leader, the local media, government officials were there. Lankan naval personnel were also present. The media photographed us while we were being arrested. By 6 pm, a complaint had been registered against us. We spent the night at the police station. The next day they took us to the hospital for a check-up after which we were taken to court. The court had a holiday, so they took us to the residence of the judge, who remanded us for 14 days in custody. After two days, they took us to court again on February 18. We were released and taken to our boat. Most of the things in our boat were missing; we could not do anything. The Sri Lankan navy escorted us to the International Maritime Boundary Line where we were handed over to the Indian Coast Guard. "I have been going out to sea for 25 years. I have seen the Sri Lankan navy regularly. Two months back they caught us, beat us up and took away our fish. This time, we must have crossed their border mistakenly when their fishermen surrounded us. 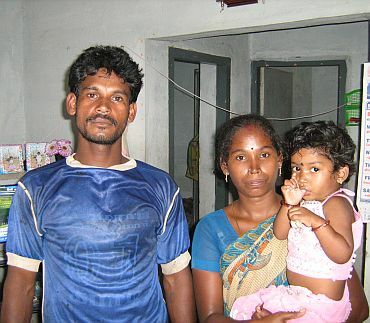 They were from Parathurai village in Sri Lanka. Around 50 small speedboats surrounded us and started pelting stones and petrol bombs. They then boarded our boat and dragged it ashore. The fishermen handed us over to the police who lodged us at Yalapanam jail. We were there for three days. On the fourth day, the court released us. They gave us a lungi, a shirt, packets of food and water. In our boat, we found the fish and nets missing. The fishermen's association leader said he didn't know what had happened to it. We returned with our own diesel. Two boats had no diesel. We towed them back. We left at 5 pm on February 18 and met the Coast Guard at 9 pm. I will go back to sea, but will not go that side." 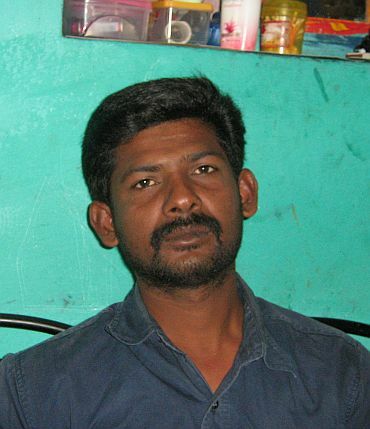 Vijayendran, 34, has been venturing out to sea for over 20 years. "One trip to sea is three days and three nights. I get a minimum of Rs 2,000 per trip and sometimes more. We make 4 or 5 trips a month. Everything was fine till February 15. At around 2.30 pm, Sri Lankan fishermen surrounded our boats, pelted stones and dragged us ashore. We were handed over to the police who gave us dinner. We were told that we would be in jail till February 28, but they released us in two days. The jail food was not good, but at least we were not harmed. When we got back our boats, we realised that our fish, GPS tracker and diesel had been taken away. Only our nets were there. We managed to return home on diesel borrowed from our other boats. I will go back to sea, but will not go to the other side. I cannot do any other work because I don't know any other work." 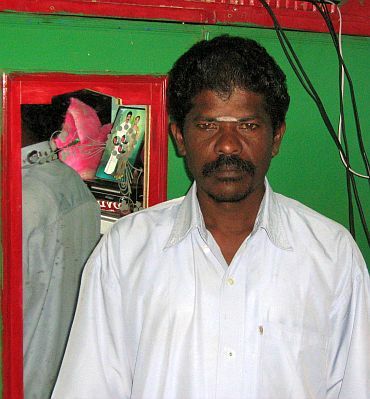 Sivaperumal, 45, is a veteran of the high seas. "I have been going out to sea for 26 years. We normally go up to the place where they are dredging for the Sethusamudram project. Sometimes we stray to the other side, but that only because the current takes us there. Normally, we never cross the Sethusamudram project line. Earlier, the Sri Lankan navy used to attack us. Now they chase us back. The Sri Lankan fishermen planned the February 12 attack. They had brought stones and bottles to attack us. Having dragged our boats ashore, they promised us that no one would touch our boats. But when we came back, our fish, our provisions were missing. They had taken away our diesel too. Other boats gave us diesel. The next time, they may kill us. A lot of our people were hurt in the stone throwing."